Today (4/4) - BestBuy.com is offering 50% Off Select Brydge Bluetooth Keyboards for a Variety of iPad® Models. 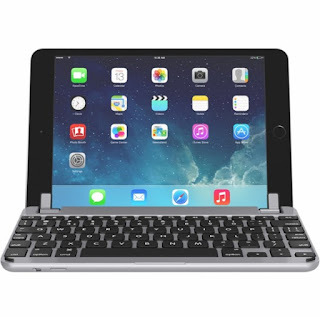 Use your iPad Mini like it's a laptop with this BrydgeMini keyboard. It's adjustable within a 180-degree range, making viewing easier, and its backlit keys and compact size let you be more productive in dim light while on the go. Use your BrydgeMini keyboard for up to three months on a single charge.